Reminder: January 2016 Meeting This Thursday! ~ Community Church of Cedar Grove, 65 Bowden Road, Cedar Grove, NJ 07009. • You can park in the large lot in the back and use the side entrance to come in. • Feel free to arrive about 15 minutes early. • Please remember, you do not have to bring a chair. We will have chairs set up. • We will have a FREE table: Please bring in quilty / sewing related items you are no longer using or would like to pass along (books, fabric, thread, patterns, notions, etc). If it does not get taken by the end of the meeting, please take it home with you). • We will introduce a new series: MEMBER TRUNK SHOWS! 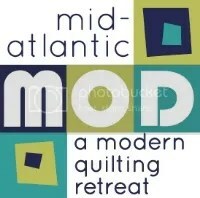 ~ Andrea B. is the featured NJMQG Member who will kick off our new series! • Please bring your name tag to the meeting. If you do not have a name tag, we can arrange a partner swap. Also, please bring anything you may have for show and tell!